Having a lifelong interest in dentistry led Dr. Ben Foster to pursue advanced educational studies in dentistry and orthodontics. After receiving a Doctorate of Dental Surgery in 1978, Dr. Foster practiced general dentistry for one year before returning to Louisiana State University for post-doctorate studies and a degree in orthodontics in 1981. Dr. Foster’s passion for advanced studies has led to the achievement of board certification and becoming a Diplomate of the American Board of Orthodontics. Dr. Foster’s affiliations in organized dentistry include: the American Association of Orthodontists, American Dental Association, Louisiana Dental Association, Louisiana Orthodontic Association, the Southern Association of Orthodontists and the American Board of Orthodontics. While away from his orthodontic practice, Ben and his wife, Pam, enjoy spending time with their family, along with fly fishing, snow skiing and aviation. Dr. Ben Foster joined the practice in 2012, and he is the son of Dr. Foster. A lifelong resident of Shreveport, Dr. Ben attended Eden Gardens Elementary School, Youree Drive Middle School, and graduated from Caddo Magnet High School in 2003. He attended Louisiana State University in Shreveport studying biology prior to his acceptance at LSU School of Dentistry. After finishing first in his dental school class, Dr. Ben went on to complete his residency in orthodontics at LSU. During his dental studies, Dr. Ben excelled in both the biologic and clinical sciences, earning him the Baldridge Dental Scholarship, the William Kramer Award of Excellence, admittance to the C. Edmond Kells Honor Society, as well as admittance to Omicron Kappa Upsilon National Dental Honor Society. Dr. Ben was the 2008 American Dental Association’s Densply Student Research Program winner. While not at work, Dr. Ben and his wife Allison, a practicing attorney, enjoy spending time with their two girls, Anna Claire and Lillian. Dr. Ben and his family enjoy supporting LSU sports, and are passionate supporters of Holy Angels Residential Facility in Shreveport. Dr. Ben and his family are parishioners of St. Joseph Catholic Church. We are a highly trained professional group of ladies who strive to make each patient feel that they are a welcome part of our family. Many of our staff have been with the practice over 20 years and we are committed to making each patient experience as pleasant and stress free as possible. 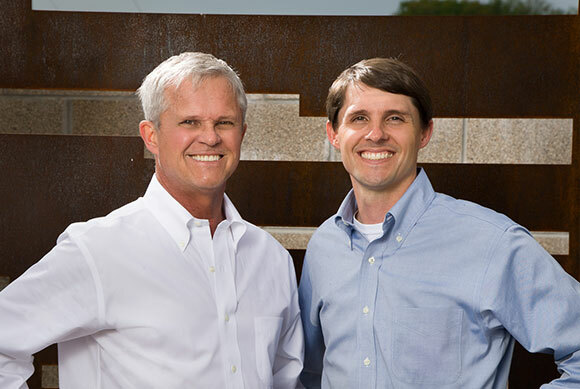 The father and son team of Dr. Foster and Dr. Ben have combined over 30 years experience creating beautiful smiles. 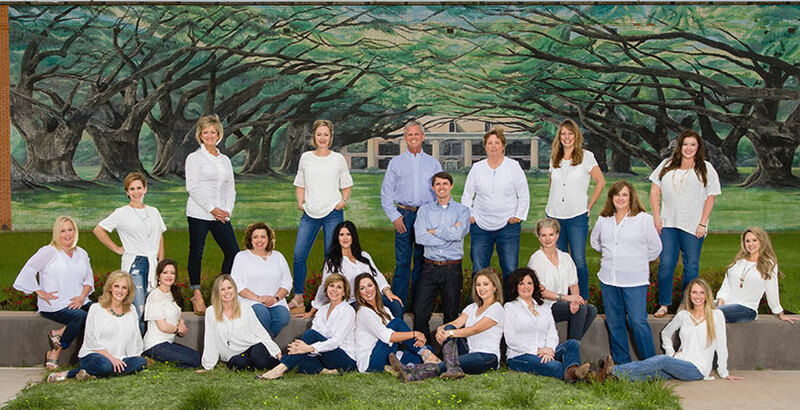 Most of the Foster Orthodontic team has been with our office for over 15 years. This unique combination allows us to make your dream smile come true in a quick and efficient manner. Our office has been labeled Damon Elite Providers, as well as, Invisalign Preferred Providers which identifies our office as being the most experienced doctors in the area for this type of treatment. Our goal is to utilize our expertise and the newest in orthodontic technology to not only give you the beautiful smile you have always dreamed of but make you a part of our Foster Orthodontics family. Hearing our referring dentist say,” I can always tell from a patient’s perfect smile when they had braces at Foster Orthodontics” is the biggest compliment. We can consistently achieve these wide, youthful smiles as our office is considered a Damon Elite Provider for both Damon metal and Damon Clear brackets. Ask us how you can achieve the smile all our patients and dentists brag about!! 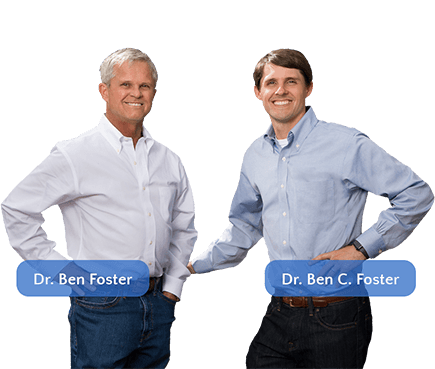 Here at Foster Orthodontics Dr. Foster and Dr. Ben spend countless continuing education hours learning the newest and greatest technology to offer our patients; such as the Damon System, Diode lasers, Indirect bonding, and Invisalign. We are the ONLY office in Northwest Louisiana to offer impression less orthodontics with the use of our iTero intraoral scanner. No more gooping or gagging!!! In our fast pace lives convenience is everything. Foster Orthodontics offers two convenient locations in both Shreveport and Bossier City seeing patients 5 days a week. Even at night and on the weekends we can be reached as we provide a complimentary 24/7 call service to all of our patients. While at Foster Orthodontics enjoy our complimentary WiFi on your mobile device or on one of our complimentary iPads. While waiting to see the doctors the adults can enjoy a cup of coffee from our coffee/juice bar while the kids spend their time in our Foster Arcade playing one of our many game consoles which include Xbox 360, Playstation, and Wii.